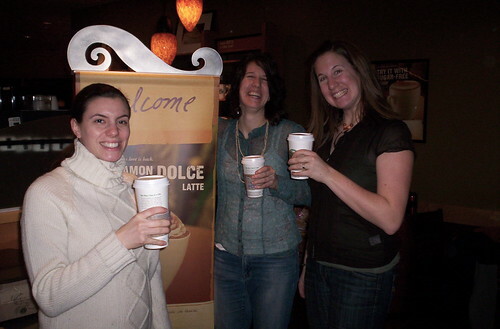 first stop: starbucks run- mmm chai latte, originally uploaded by KeeganS. RC night stand for "relaxation center night" where us girls get together to do manicures, pedicures, massages, facials, ect. Last night we got starbucks and watched "Material Girls" :) Meanwhile - Jennica and Michele's husbands have their own version of RC night - for them it's "Remote control cars and trucks- where they tinker with parts, take the RC's out, race them, ect. We aim to do this once a month.